Read two integer values, which are natural numbers. 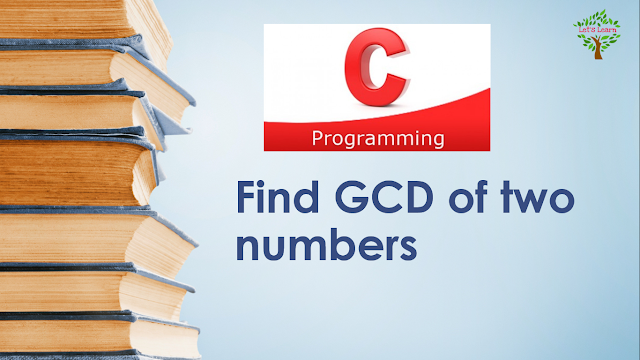 Find the GCD of the numbers. The input file contains two integer values. Print the GCD of the two numbers. In mathematics, the greatest common divisor (gcd) of two or more integers, which are not all zero, is the largest positive integer that divides each of the integers. For example, the gcd of 8 and 12 is 4. The greatest common divisor is also known as the greatest common factor (gcf), highest common factor (hcf), greatest common measure (gcm), or highest common divisor. Now, how can we get the gcd of two numbers. There are many ways to get the GCD. But, the most popular method to find the GCD is subtraction method. In this method, the larger number is subtracted by the smaller number and then the result is assigned to the variable holding larger number. This process keeps going till the numbers are equal.